Players are positioned in a 20x30 yard grid as shown in the diagram above. Players are positioned in a 20x30 yard grid asshown in the diagram above. A 4v4 plus two &apos;floaters&apos; is organized inside the playing area. Both teams compete for possession of the ball. Emphasis is placed on the floaters determining the tempo of the game. Floaters are encouraged to either: Calm it down, Increase the tempo - play quick. Play slow. 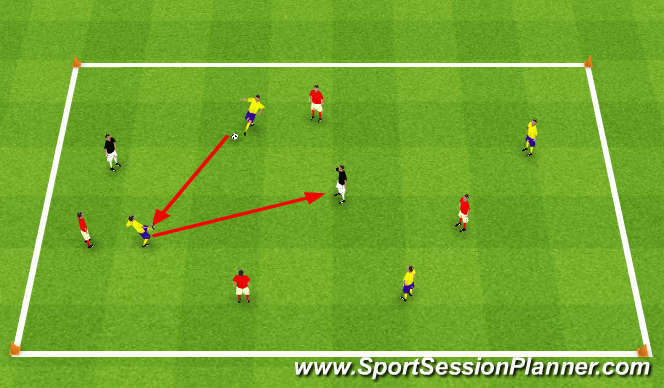 Both (A) players act as attackers and pass the ball back and forth. The red defender must continually adjust his position as the ball travels. The mannequin acts as a stationary opponent for the defender. The attackers must attempt to hit the mannequin with a pass to score a point. The defender must mark the mannequin on the near-side shoulder. 7 V 7 half field is used with an offside line at half field. 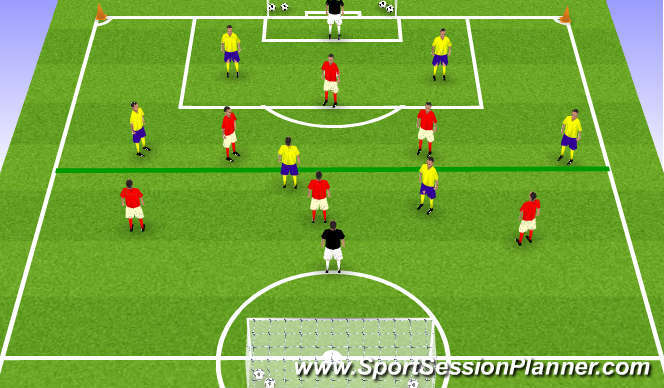 Regular game with no restricitions but focusing on small group defending. 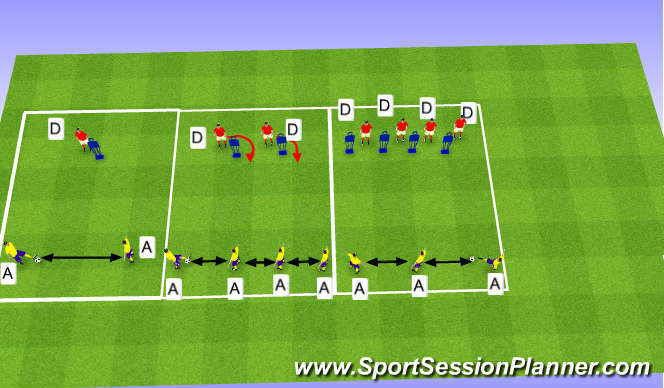 Put your teams in a 3-2-1 and 2-3-1 formations.